This Easter event is packed full of fun for the whole family! The kiddos will get to search way up high and down low for eggs, of course, in addition to finding special treats! 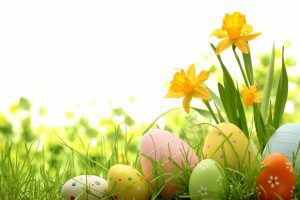 Spend a bit of time coaxing them away from enjoyable activities just long enough to snap a photo of them with the Easter Bunny, and don’t forget: Grownups will have a wonderful time participating in the annual Egg Toss! As for the Bonnet Contest: All are welcome to enter for the chance to win in one of several categories! Admission to this family experience is $2 per child! Get in touch with a member of Parks & Recreation when you call 248-370-9353 for further information. Remind yourself to call our practice at your convenience to schedule the preventive dental care visits your family needs for healthy teeth and gums. When we see you every six months, we offer oral health protection! To learn more, schedule an appointment or initial consultation by calling Advanced Dental Concepts in Auburn Hills, MI today at (248) 852-1820.